While not an exhaustive list, below please find links to resources, policy information, and points of connection to support your WBL efforts. 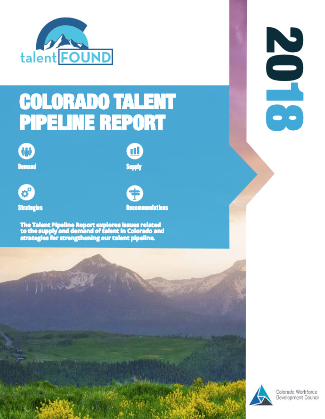 You can download an Adobe pdf Colorado talent development resource list. 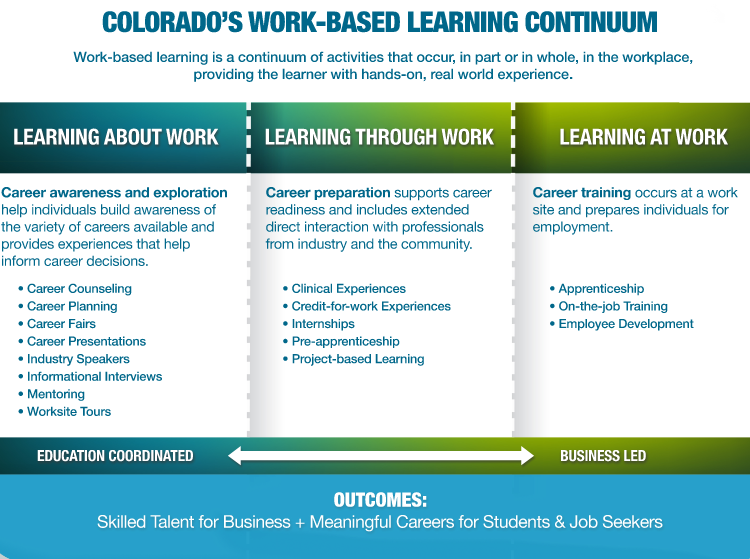 The target population for the WBL Coordinator credential is a secondary educator who directly supervises students who are enrolled in a “work based learning course” at a work site and who works directly with employers for student placement and evaluation of their work experience across multiple CTE program areas in a high school or school district. 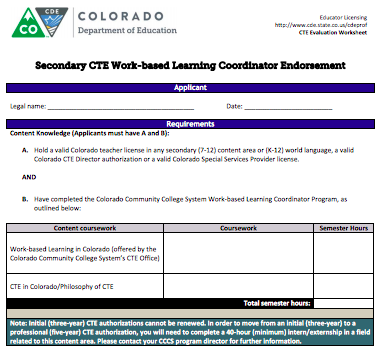 If you are a CTE credentialed instructor who supervises students at a work site in the CTE program area for which you currently hold a credential, not across multiple CTE program areas, you do not need to hold this Work Based Learning Coordinator credential to claim your enrollments for CTA. Career Development Incentive Program (HB18-1266) regarding qualified industry credential programs, internships, residencies, construction pre-apprenticeship or construction apprenticeship programs, or qualified Advanced Placement courses. Innovative Industries Internship Program regarding matching grants to employers for internships in 8 innovative industries. 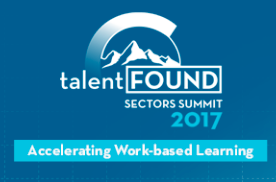 Want more resources for finding economic, demographic, and educational data? Check out this Education and Economic Data Resource List. MyNextMove.org – What do you want to do for a living? Colorado has nine statewide CTSOs. For information on the organizations and how to connect with their work, visit the CTSO webpage.